Bean Bags R Us NewsKids Bean BagsAre Bean Bag Chairs OK for School Settings? Are you wondering if your students or children should be learning in bean bag chairs? The answer might surprise you! The very first bean bag chair came out in 1969, and since then, they’ve become one of the most popular ways for kids to watch television, read comics, play video games, and more. These ultra-comfortable chairs are usually for relaxing and hanging out. However, the evidence shows that they can also be great for academic situations. If you’ve been avoiding bean bag chairs for kids who need to learn, you might want to reconsider. In this guide, we’ll give you the information you need to decide if these chairs are a good fit for your classroom or daycare. Keep reading to get your bean bag questions answered! Experts agree that school furniture is an integral part of the learning process. The right school furniture enables students to be poised to learn the things they need. Every day, kids spend about six hours, if not more, seated at a desk. If the seating isn’t comfortable, the kids might have a hard time focusing. But even worse, kids can start to develop back problems and other health issues resulting from poor furniture. That’s right — adults aren’t the only ones who can suffer health issues brought on by long hours at a desk. Just like an adult at a desk job, a kid in a desk chair for hours every day can start to feel pain, stiffness, and more physical problems. Do Comfortable Kids Learn Better? In addition to the risk of physical problems, many traditional desk chairs come with another drawback: they aren’t comfortable to sit on for long periods. Think back to the desk chairs of your childhood. They were probably made of a hard material like plastic, metal, or wood. Sitting on them made you fidget to find the most comfortable position. When kids feel like they can’t sit still due to uncomfortable chairs, it can disrupt the learning process. They won’t be able to focus and get the information they need from a class. The ideal chairs will be contoured to match the natural curves of the back, reducing this discomfort. However, most ergonomic furniture is out of the price range for schools, daycares, and other educational places. 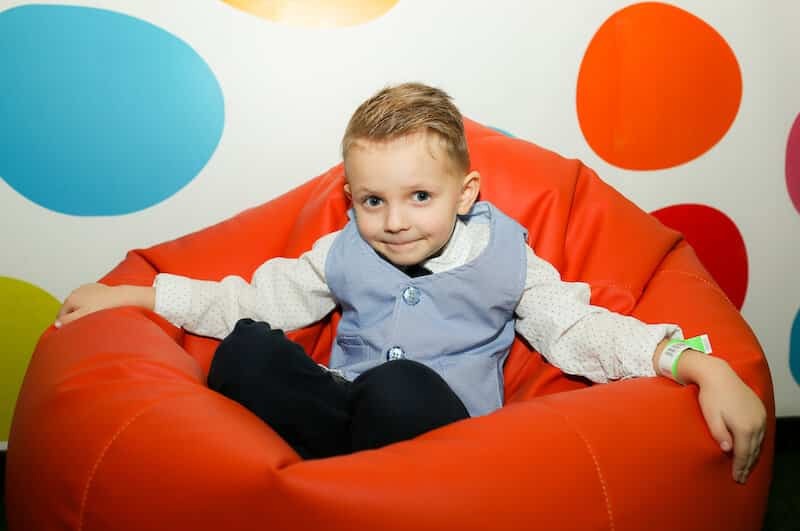 Is it possible that bean bag chairs for kids can help? There are quite a few things that bean bag chairs can do to make a learning environment better. They’re also more cost-effective than some fancy ergonomic desk chairs. Let’s take a look at the details. A child with a relaxed mind learns better. When someone is experiencing physical discomfort, the brain can’t relax: it’s focused on making the situation more comfortable. Once the brain is relaxed, the student’s focus can switch to learning. Bean bag chairs are naturally comfortable, so they promote learning. They’re soft and inviting for kids of all ages. Sitting on one doesn’t feel like a chore — kids are often happy to be there since a bean bag chair feels different from the chairs they usually associate with school. Using comfortable bean bag chairs can make them more open to the learning process. Teachers will love that these chairs are also very easy to clean, with tough exteriors that resist damage. Anyone who works with kids knows that they’re messy. However, a bean bag chair can easily be wiped down with a disinfectant at the end of every day. Children like to feel safe and comfortable in their environment. New things can be scary. Since they’re already encountering new concepts, and maybe even new people, as they learn, it’s important to make sure the furniture isn’t intimidating. A bean bag chair seems like a toy, so it’s comfortable and familiar. The soft surface also feels safe — it’s not like sitting on a chair somewhere scary, like the doctor’s office. This familiarity helps reduce the anxiety often brought on by a classroom environment. It’s best to keep the day dynamic if you’re working in a classroom. Kids can learn better if they get to switch between activities often, and get up and move in between sitting assignments. Since bean bags are easy to move, they let you rearrange your classroom as many times as you need to throughout the day. Older kids can even walk around with their bean bag chairs, which is a fun activity in itself. This helps you keep the classroom engaging throughout the day. Younger kids are still learning how to use their senses to interact with the environment. Sensory experiences can help them learn by making them active participants which is helpful with students on the Autism Spectrum and those with attention deficit disorders. Bean bags offer a great experience for the sense of touch. They have an interesting texture that can spark lots of student questions about their construction. And if the kids want to run and jump onto the bean bags, they won’t get hurt, so these chairs promote interaction. You can get bean bag chairs in all different sizes, as well as some shapes, to meet your classroom needs. Smaller chairs are better suited for younger children, while larger chairs can work for preteens, teens, and even adults. You can also get two-person bean bags where kids can share the seat with their friends. Since these chairs are comfortable and fun to sit in, kids are more likely to get immersed in stationary activities, like reading. If a kid seems unwilling to sit still, it might just be a sign that their chair isn’t comfortable. Will You Try Bean Bag Chairs for Kids? If you’re in charge of the furniture at daycare, school, or anywhere kids come to learn; bean bag chairs can help you meet your goals. Relaxed, comfortable students learn much faster than the rest! 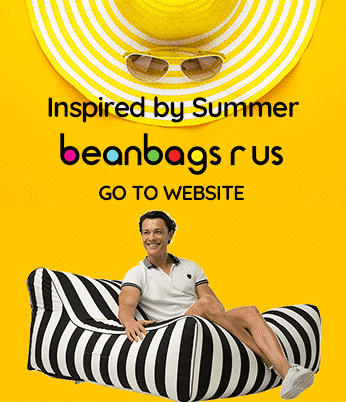 Are you looking for a place to buy bean bag chairs for kids? Check out our selection of kids bean bags here.